Problem #1: most clubs/organizations have only limited members. 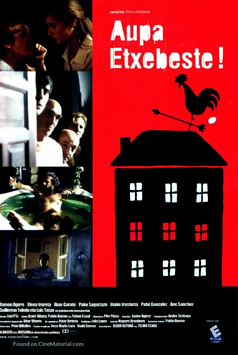 Problem #2: most self-defined Basques are not members of any Basque organization at all. Solution: hurbil zaitez mesedez--please come join us! In the year 2000 U.S. census, 57,793 Americans defined themselves as Basques. That makes Basques about .0002 percent of this nation's population. That's not much. That number gets even smaller when we look at how many self-defined Basques have made the choice to join their local Basque organization. Based on the numbers that NABO has from its member organizations, it is clear that less than 10% of self-defined Basques are Basque-club members. Then of course, the number shrinks yet again among members as to those who make an effort to help out with club events. Now small numbers have never stopped the Basques from making an impression, so yes quality can trump quantity but you do reach a point where no amount of quality can keep a small boat (and Basques are just that in relation to the numbers of other groups) afloat if the waves grow to large. The Basque-American community is undergoing a generational transition. The last major wave of Basque immigration here to America ended a generation ago, and now their children and grandchildren are the ones who will decide if--and how--Basque culture will endure here. Now is the time to re-affirm our will: Euskaldun bizi nahia—our will to live as Basque. To those club members not actively involved, we need to find ways to ask them to reconsider what they might be able to contribute. It is our combined efforts that keep our community alive and worthwhile. For those 90% self-defined Basques who have yet to join us, we also need to get the message out to ask them to please consider becoming a part of our efforts to preserve our Basque heritage. So get the word go out, in Euskara: HURBIL ZAITEZ! Please join us and come closer. 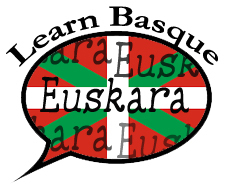 Do you have a Basque club in your community? Think about joining. 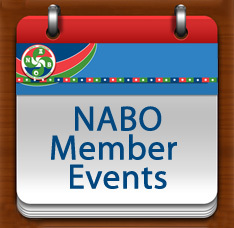 Click on NABO Basque Clubs to find out if you have club nearby. Those who contribute their time and energy to promoting Basque culture derive a significant degree of satisfaction from the camaraderie. They are reinforced in their convictions when they see that others are choosing to join them and participate in the work and fun. So if you are already a member, think about what you might be able to contribute. Don't have a Basque club neabry? Think about starting one! NABO can assist with this. You've seen the numbers—and you know that we could use more help in this endeavor. Come join us! You know you're needed.